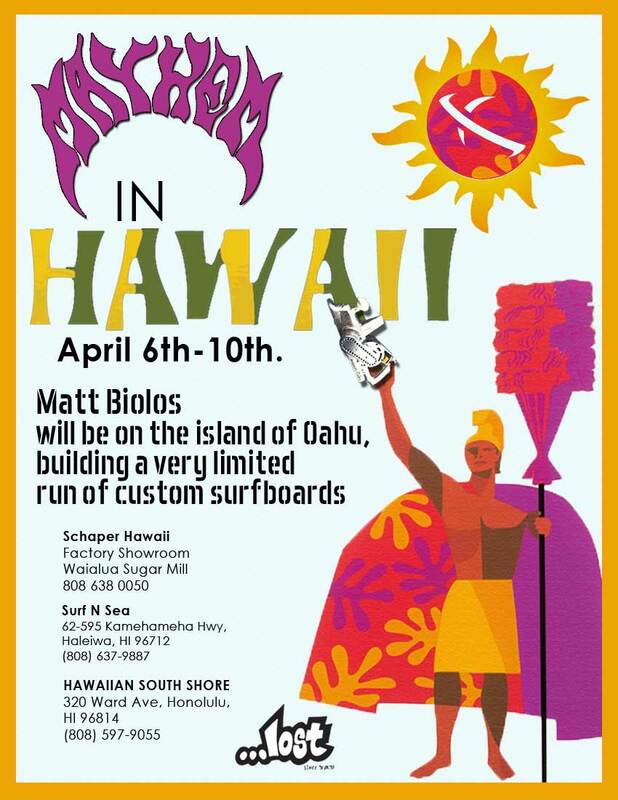 Matt Biolos will be in Hawaii, shaping a very limited amount of custom boards during Spring Break (April 6th-10th, 2015). Itching to try one of our new 2015 models, or want to replace an old fave? Contact Carl Schaper or the below retailers and order up. First come first serve… Mahalo!